Terrace Design NYC – Rooftop Deck Gets Zen Treatment We designed this rooftop garden for a yoga studio on Manhattan’s Upper West Side. The planters are filled with beautiful, sinuous Japanese maples that were hand-selected for grace and form. A soft green layer of moss tops all of the planters, adding a wonderful finishing texture evocative of a forest floor. 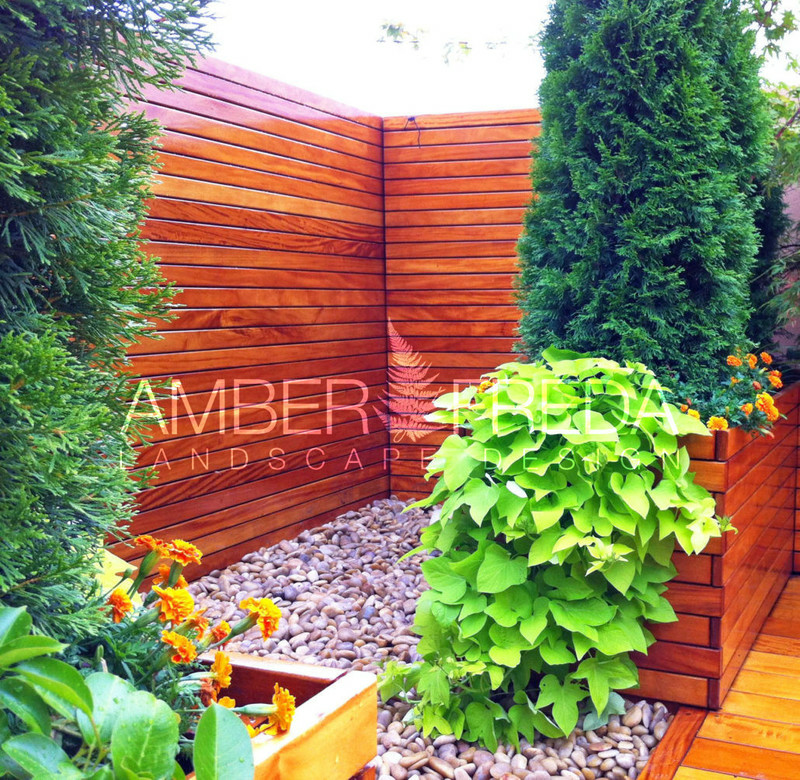 The custom-built wood deck, planters, bench, and fencing are stained a warm and inviting reddish-gold color. This garden also contains coralbark maples, a Zen/rock garden, and many flowering perennials that attract butterflies. All of the planters contain drip irrigation lines that water the plants on an automatic timer. Low-voltage lighting lines run through all of the planters as well, providing soft nighttime up-lighting of the plants.